Walter Updegrave of CNN/Money recently fielded a question from a guy whose employer employer had stopped matching his 401(k) contributions. He was wondering if he should start looking for a new job. This is a perfectly reasonable question, as a loss of this sort of benefit is effectively a pay cut. But it also relates to a more general question: What should you do if your employer doesn’t match 401(k) contributions? Should you still contribute? In general terms, I recommend contributing enough to your 401(k) to get the full match. After that, I would recommend funding and IRA — either traditional or Roth, depending on your circumstances — before turning your attention back to your 401(k). Why? Because 401(k) plans often leave a lot to be desired. High fees, poor investment choices, etc. With an IRA, you have complete control. Thus, you’re free to choose a low cost provider with a great selection of funds. And even if your 401(k) currently offers decent options, keep in mind that the situation could change in the future. By focusing on your IRA once you capture the match on your 401(k), you maintain complete control over a significant chunk of your money. Once you capture the match and max our your IRA, you should (probably) turn you attention back to your 401(k) due to the tax benefits. If your 401(k) plan has truly atrocious investment options, then a case could be made for bypassing it in favor of a taxable account. But hopefully you can find something serviceable in your account. But if your employer doesn’t offer a match, I would go straight to the IRA. 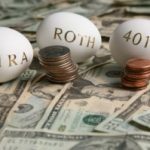 Once you hit the IRA contribution limit, then you can consider the 401(k). Here again, the tax benefits will hopefully outweigh any other limitations associated with your 401(k). If not, consider investing in a taxable account. Of course, once you leave your job, you are free to roll your 401(k) over into your IRA — and I recommend that you do so. Alternatively, you could leave it in place or roll it into your new employer’s plan, but here I again I would focus on maximizing control of your funds. I don t like the argument that matching money is simply offset by a reduction in salary because you re not making a fair comparison. While it s true that they could give you more money, the match is actually better for you because now that money can grow tax-free until disbursement. @HJ employers don’t offer IRA’s. And sad to say, banks and financial advisers are generally terrible places to get advice on opening one. Your best bet, to keep it as simple as absolutely possible: Open a Roth IRA account at Vanguard and put it into the target retirement fund appropriate for your age (e.g. the one labeled with the year closest to the year you will turn 65). My employer quit contributing to 401k years ago. Employer does selectively pick who will get a contribution so not all are are treated the same so it seems that the original agreement for the 401k plan is no longer valid to even call it a 401k plan anymore. Can I move my funds out of this 401k plan to a self directed IRA seeing as the employer essentially terminated the plan? 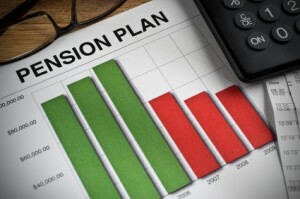 Be advised that there is a SERIOUS move from Washington, DC to SEIZE all 401(k) plans, along with IRA and other types of pension funds … so that the politicians can … supposedly … reduce the deficit. This began way back in the last decade or so, and has slowly moved forward; with the recent approval of some laws that are directed to the fringe problems, as in, to get rid of them first and/or to begin to interject the plan using hidden methods. The seize will put the pensions … including labor unions and others … into the SSI fund; will initiate a low 3% rate; and will dole out a total of $600.00 per month; irregardless of what the total was; and added to your SSI funds. In addition, whenever it is implemented, the seized amount will be reduced by 50%. Then, when you dye, if there is any left in the fund … forgetaboutit … your heirs don’t get anything. There are other items of interest, that will drastically effect any plan of privately owned pension funds … but that’s all I can recall now. The effect will also cause a MAJOR financial crisis on the monetary dollars, and will no doubt wipe out many IRA-401(k)-etc specialist companies and banks. To confirm, all you need to do is put … ira 401(k) seize … on Google. Me … and wife … are now looking to see what we can do with our savings in order to protect it. So far, all we’re seeing is to withdraw all and pay the penalty; at least that should not be the 50% reduction…..HOPEFULLY !!! that is the question? do you ask your employer if they have a roth or traditional IRA that you can contribute too? Or do you ask your bank, or find a finantial advisor? Right now I’m maxing out my 401K, but my employer is only matching 3%? @QR – You can contribute to both a 401k and an Traditional IRA, there are income restrictions on the tax deductability of the IRA please refer to IRS publication 590, all of the income restrictions and phase outs are listed there. @QR – (this is not legal advice but I believe that) It only matters if you are participating in a workplace plan. If you are eligible for a plan but are not participating in any, you can still deduct traditional IRA contributions. Note that anyone can contribute to a traditional IRA, it’s just a question of whether or not you can deduct that contribution from your taxable income. Can one invest in a traditional IRA even when one has the opportunity to invest in a 401(K) at work? I thought you could not do both? 401k is a nice tax shelter in and of itself. Always try to maximize your tax shelters. By pure economics you are correct, go with the lowest fees until maxed out then turn back to unmatched 401(k), however, by psychology, it maybe better go with the unmatched 401(k). My first two 401(k)’s were unmatched, but that 1% out of my paycheck was the only retirement saving I had for many years. Granted I was 18 to 26 years old at the time in this period and my saving skills have developed since. I think it is one of those “know thy self” situations, today I might be able to use follow your advice (this employer has SIMPLE IRA with 3% match, so a moot point), but discipline is the key. Many employers have a vesting schedule for matching contributions. Free money isn’t free if you don’t get to keep it. You can roll your money out of a bad plan as soon as you leave the employer. You get the full tax deduction but only have to put up with the plan (be it high fees, poor investment choices, or both) for as long as you work there. Along the same lines as the latter: You can also lobby your HR department to find a better plan. If they do, great. If they don’t, maybe they don’t really care about their employees as much as you think? An argument for leaving sooner than later. The company match is a 100% return on investment, if you contribute $2,500 and your employer matches the $2,500 you have doubled your money, so always contribute to the match. Next is an IRA, you have 2 choices and your income and tax bracket make a difference Roth or Traditional IRA, if you are in a low tax bracket 15% or less max out the Roth next, if you are in a higher tax bracket the decision between Roth and Traditional is a bit harder. To max out a Roth at $5k in the 28% tax bracket requires income of just under $7k but that $5k now grows tax free forever, maxing out a Traditional IRA at $5k only cost $3,600 in net income, but you have to pay the tax when you withdraw the money. Either option has pros and cons, so that is between you and your accountant, but fund one or the other or split your investment between the two. Once you get the 401k match and have maxed out your IRA, then continue contributing to your 401(k) to the max as you get an immediate return equal to your marginal tax bracket. In 2013 you will be able to contribute $17.5k to your 401k and $5.5k to an IRA for a total of $23k in retirement savings, in my opinion that is not enough to retire on so also save in taxable accounts to whatever level you feel comfortable with. I would take the same approach with the difference being if someone was going to retire early you probably do need some money in taxable accounts. So, to make matters complicated, my employer matches funds on a discretionary, scaling basis at the end of the year. So, it’s not a predictable matter how big of a match there will be, and it depends on how much other people have contributed.